New-age tech charms, like chatbots, are primarily deployed in the customer service area, which introduced a bundle of new capabilities to heighten various aspects of the sector. As a result, the customer service cycle has transformed in recent years. 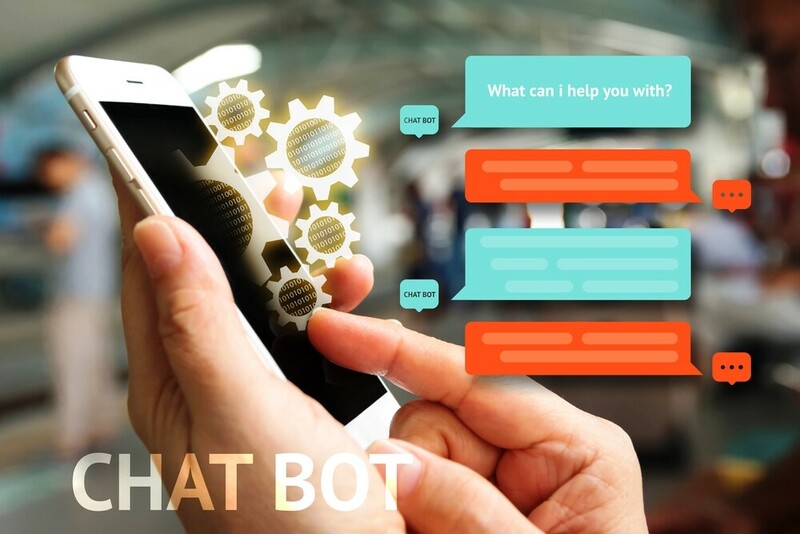 To reap the benefits of their customer service endeavors and stay competitive, businesses of all kinds and sizes are increasingly adopting chatbots. Chatbots are changing customer service in the following ways. Customer convenience becomes of major importance when your focus is on customer service. Not being available at the moment a customer needs support results in disrupted convenience. Therefore, customer service shouldn’t be restricted by the hour of the day, public holidays, or time zone differences. Chatbots are intended to address this concern because they’re the “always-on” customer service agent. They never sleep or take a day off. They’re always ready to solve your customers’ issues, at any given moment. Improved customer engagement is necessary for any business to raise its level of service. Customers’ needs and trends are always changing; so, businesses need to be able to quickly catch up. Businesses can achieve improved customer engagement through chatbots. Customers engage well with chatbots because of their ability to render a higher level of service and satisfaction. By tracking their constantly-changing needs, chatbots his help businesses recognize their necessary customer service amendments. Personalized customer service assists with promoting customer satisfaction because businesses obtain thousands of gigabytes of data throughout the customer journey. If you can’t use the data to initiate analytically-derived actions, then personalization isn’t actually possible. Chatbots raise personalization and unwavering customer service to a whole new level. Customers engage with a number of online channels at every level of the funnel where businesses act. For example, lead generation occurs on social media or by email, while conversions occur at the landing page. Chatbots perform interestingly in many ways to assist you with this. Chatbots aren’t limited to your website; they can also be incorporated into social networking sites and messenger apps like Facebook, WhatsApp, and Slack. The ability of chatbots to work with a variety of different channels allows your business to be available for service nearly everywhere. Chatbots provide crucial customer insights with deep analytics not humanly possible. They can also be trained to specifically tailor their operations, which empowers them to deliver more intelligent customer support that takes years of training for human agents. Chatbots can use this intelligence to provide real-time answers to customer queries, custom content; and brand voice alignment. As a result of the advancements in social media and other technology, customers expect their queries to be addressed immediately. A recent survey deduced that over 50% of customers expect a response in less than an hour. Chatbots don’t make customers wait. They respond and escalate complex issues immediately. They also engage with multiple customers at a time; thus, customers will no longer wait for a busy agent to free up. Today’s businesses need to remember that they are selling to millennials, customers with changed expectations. They want more self-reliant customer services and fewer situations where they’ll have to indulge in human interactions. Chatbots are a conversational, self-servicing function, free from human-intervention and persisting in digital-only transactions. It’s also important to note that over 60% of today’s millennials are already using chatbots. They complement the self-service tendency, which is in customer service vogue. Customer service successes are quantified by the customer experiences you propagate. That’s why such substantial importance is placed on consistently evaluating and scaling customer service. Allocating services to new markets with chatbots enabled in their respective languages. Teaching human agents local languages is time-consuming. An interactive FAQ section while launching new products will help to alleviate sudden surges of customer queries, often encountered during new product arrivals. Improving efficiency by switching to a new server when customer inquiries increase in volume. Using customer preferences to research the most-suitable products. Deducing when customers actually need human assistance and escalating the call. Executing the purchase from within the chat window. These capabilities allow them to do everything in the customer service cycle autonomously. Maintaining customer contact is important for businesses who want to boost repetitive purchases; however, they usually don’t have time to affirmatively check in on customers. Here’s where chatbots help. They initiate simple notifications for customers’ special occasions, like birthdays. They also perform quick check-ins to inquire about customer experiences with the products and any issues they’re facing. These simple steps help businesses emotionally connect with the customers and strengthen brand loyalty. Chatbots provide many advantages with their highly-capable functionalities. All of the changes have led to the creation of a new series of processes. Businesses can expect more revitalizations as the AI and chatbots are further reshaped for better everyday outcomes. Sawaram Suthar is CMO at Tagove, a provider of chat software and also a founder of Jagat Media. A digital marketing consultant, he has experience in things including branding, promotions and page optimization, along with research and strategy. He has an MBA from the University of Pune. Are Traders at Risk From being Overtaken by AI?